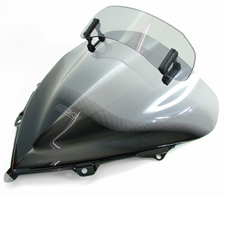 Almost every biker knows them; wind pressure, turbulence, buffeting and noise. The question is, though, which is the lesser of the evils? Additionally, because everyone's a different height, the most common question we're asked is, which will be the perfect screen for me - Touring, Double-Bubble, Flip or Sports etc? And, unfortunately, the answer here, used to be that whichever fixed screen you may have bought it was almost 'pot luck'. 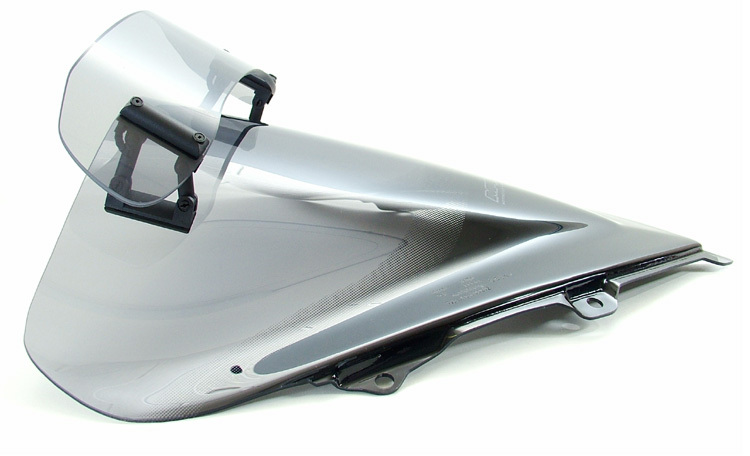 To combat this, MRA has developed the first screen designed to give riders of more sports focussed multi-purpose bikes the chance to tailor their bike’s wind cheating characteristics to suit their own needs, the 7-way adjustable Vario-Touring Screen. 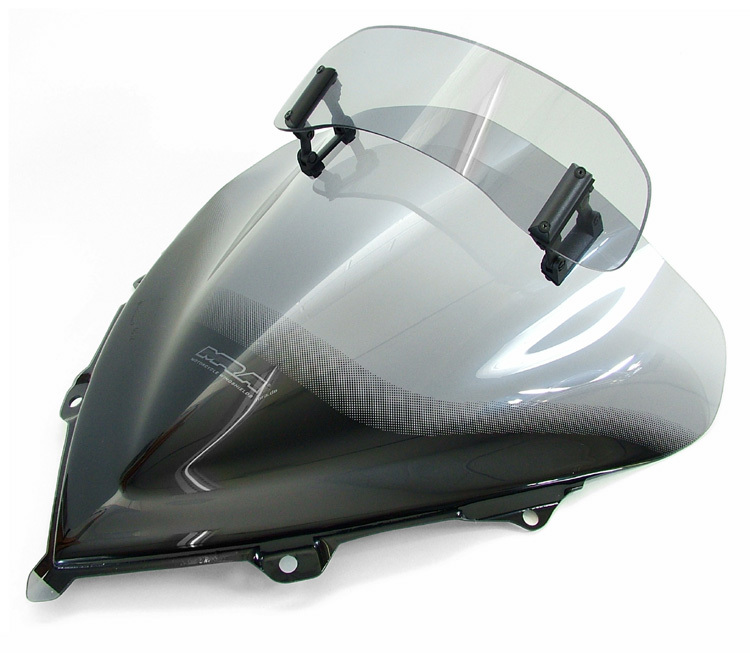 This is a development of the World renowned full-size MRA Vario Screen - developed for high end tourers such as the Honda VFR800 – designed to offer the same wind-cheating benefits for fatigue-reducing, high speed, long distance rider comfort. 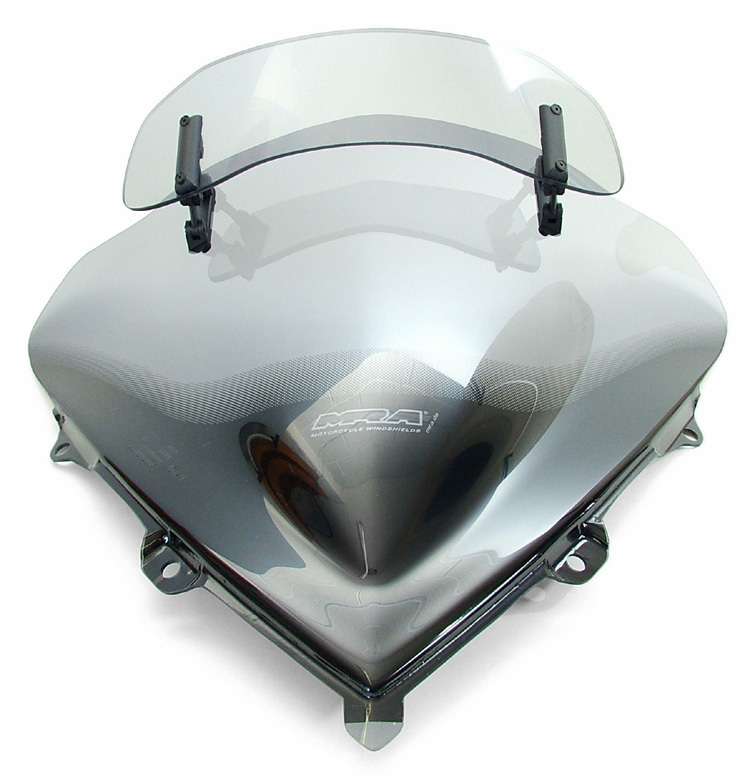 Pillion passengers benefis from the improved airflow and their needs can used to influence the position of the spoiler. 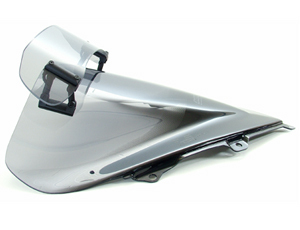 For the long distance or taller rider (over 6 foot or 1.8 metres), take a look at our new X-creen which has an even larger spoiler and further adjustability. 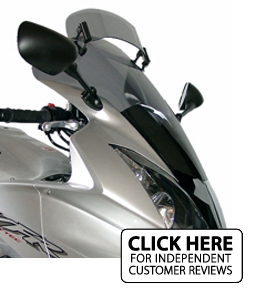 Many hardened motorcycle travellers choose MRA, click here to see our photos from the Horizon Unlimited annual meet.